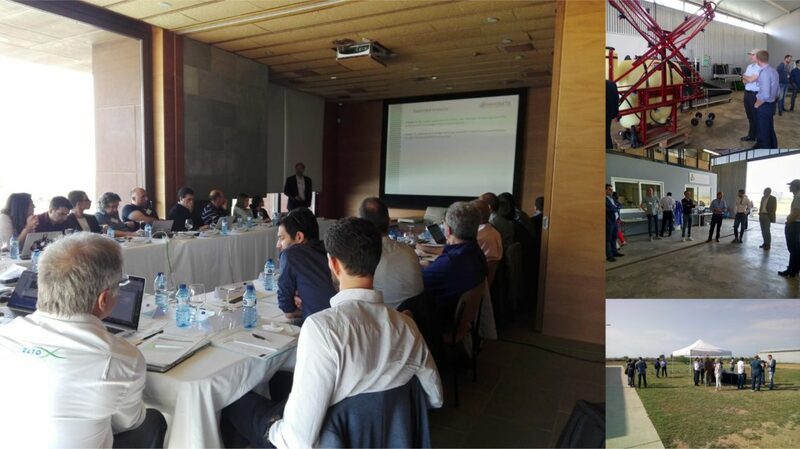 INNOSETA kick-off meeting was held between May 16th - 17th 2018, at Castelldefels, Spain, organized from UPC (Universitat Politècnica de Catalunya). AGENSO as a project participant joined the meeting, which goal was to arrange the project action plan for the upcoming period. Aim of INNOSETA network is to set-up a self-sustainable Thematic Network on Spraying Equipment, Training and Advising designed for the effective exchange between researchers, industry, extension services and farming community. This network will link directly applicable research and commercial solutions and grassroots level needs and innovative ideas thoroughly captured, thus contributing to close the research and innovation divide in this area. The proposed network will be organized to cover spraying application needs in the most commonly used crops in Europe: cereals, vegetables, orchards, vineyards and greenhouses organized in seven national innovation hubs linked with international interactive workshops. This Thematic Network will address important and timely issues that are critical to improve crop productivity and reduce environmental impact.